I was talking to someone who works on one of those half-dozen or so apps that we tend to associate with teenagers: the ones that were built around some novel concept that distracted us for a few years while they settled into their roles as slightly different ways to text. He mentioned something, offhand, while describing his anxieties about his job, that to him felt obvious. In his weird zone of the internet, he said, the concept of a large publication seemed utterly hopeless. The only thing that keeps people coming back to apps in great enough numbers over time to make real money is the presence of other people. So the only apps that people use in the way publications want their readers to behave — with growing loyalty that can be turned into money — are communications services. The near-future internet puts the publishing and communications industries in competition with each other for the same confused advertising dollars, and it’s not even close. This is a stray observation from an app bubble within an investment bubble. But if you listen to what the internet’s best-capitalized and savviest media companies — which themselves exist in a (separate) set of Matryoshka bubbles — are saying, and watch what they are doing, you can tell that they don’t think it’s crazy. Disney has given Fusion a lot of money to launch. What does the company see as a successful return on that investment? Traffic goals? TV audience? Influence? I think it’s all of the above. Part of our overall mission is to be a lab for experimentation and innovation for our parent company. Univision and ABC want Fusion’s help in figuring out how to reach this incredibly dynamic, diverse, and digitally connected audience, so we’ll be investing heavily in audience development and technology and transferring knowledge to the parent company about what we learn. Fusion is fun to think about because it exists very slightly outside the weird new Zones of Content. It isn’t an established print publication trying to revamp itself under the same name for the fifth time in fifteen years, nor is it a VC-funded company that people started paying attention to a few years ago and that’s speeding toward some sort of liquidity event. What does it want? To build “a new kind of newsroom to greet the changing demographics of America” that is also “a little bit outside of the media bubble.” When does it want it? As soon as possible, but, whatever. Another thing that Fusion does not have to do is decide what kind of company it is, because it is a literal extension of much larger ones that already know. For Fusion to talk about “promiscuous media” and “build[ing] our brand in the places [the audience] is spending time” — as opposed to publishing everything on a single website and hoping it spreads from there — is not strange in the context of television companies. They’re used to filling channels that they don’t totally control. Meanwhile, some of the most visible companies in internet media are converging on a nearby point. Vox is now publishing directly to social networks and apps; BuzzFeed has a growing team of people dedicated to figuring out what BuzzFeed might look like without a website at the middle. Vice, already distributing a large portion of its video on Google’s YouTube, has a channel in Snapchat’s app, along with CNN, Comedy Central, ESPN, Cosmo and the Daily Mail. The great thing about Facebook leaning in to the new video strategy is that publishers on average are seeing a lot more views and a lot more engagement with that video content. This could theoretically be a pretty massive revenue stream with publishers when and if they do enable monetization around this inventory. “When and if,” lmao. When and if! What was even the point of websites, certain people will find themselves wondering. Were they just weird slow apps with nobody in them?? Why? A bunch of publications will go out of business and a bunch of others will survive the transition and a few will become app content GIANTS with news teams filing to Facebook and their very own Vine stars and thriving Snapchat channels and a Viber bureau and embedded Yakkers and hundreds of people uploading videos in every direction and brands and brands and brands and brands and brands, the end. Welcome to 201…..7? The gaps left by the websites we stop looking at will be filled with new things, and most people won’t really notice the change until it’s nearly done, because they will have been incredibly not bored. Maybe the web thrives in a new and unexpected way as it is again relegated to marginal status? Maybe it just chugs along because nothing seems to fully die on the internet anymore. Sure, why not? Teens, whose idiot mystique will have played no small part in setting this whole thing in motion, will meanwhile begin plotting their escape. 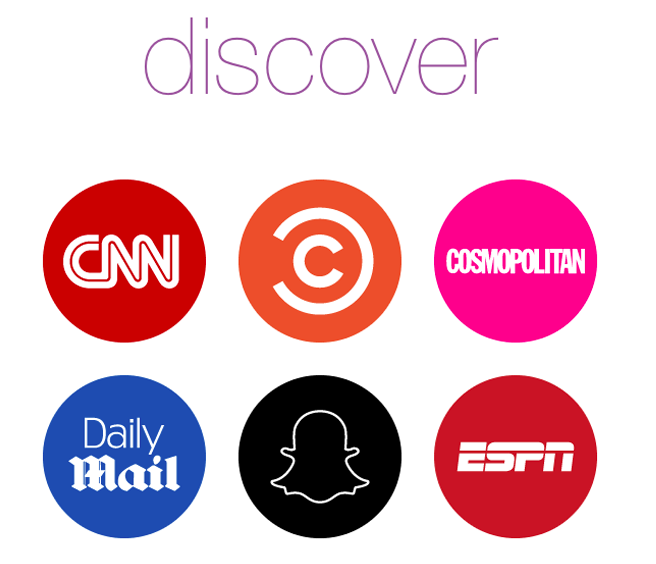 When Snapchat last month debuted its Discover feature — a new section within the app that shows articles and videos from a range of media companies — one rumored launch partner was noticeably absent: BuzzFeed. [T]he two companies were at loggerheads creatively, people at the meeting said. At issue was the fact that Snapchat’s editorial team would be involved in BuzzFeed’s content, creating friction. The two companies had “creative differences,” Mr. Peretti said at the meeting, a person with the matter said. These are just some of the many questions that feel impertinent as your body accelerates at the rate of gravity. Correction: A quote originally attributed to Vox’s “director of audience development” was in fact delivered by Vox’s “global vp of marketing and partnerships.” We regret the error! Disclosures: The current editors of The Awl, after being bred together in a small petri dish in the back of the refrigerator that holds the cold brew at BuzzFeed, resided there for a time, producing a technology vertical from underneath a stack of seltzer cans. Giph via Giphy.